We wrote about swifts before and also about swallows and martins. But Hvar is the summer home of a whole set of other birds, many of them rare or non-existent in more northern climes. 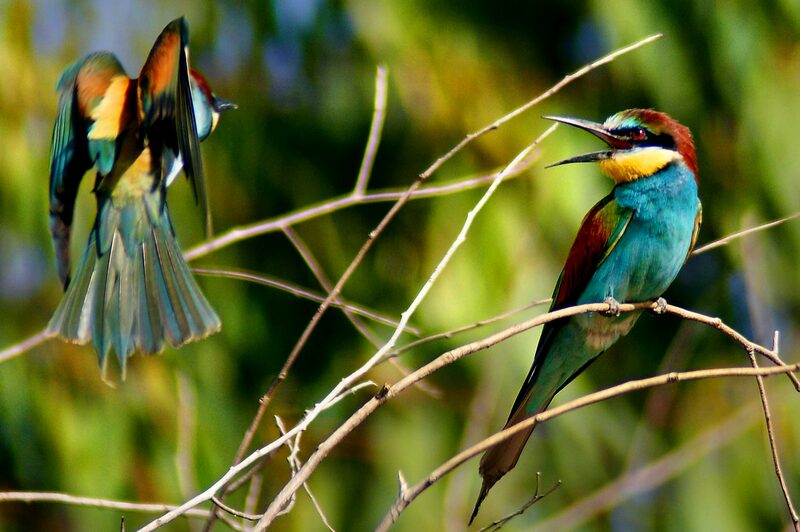 We just saw our first flock of Bee Eaters (Merops apiaster). This colourful bird winters in deepest Africa, but comes to warmer parts of Europe in summer to feed and breed. Their characteristic flight and sound is hard to mistake for anything else. Here is a link to their in flight songs. But the real treat is seeing them close up, when the stunning colours of their plumage are revealed in their full glory. Check out the British Trust for Ornithology page, which includes more information on these lovely summer visitors.